CBS is well known for its live streaming and online programming around signature sports broadcasts, like March Madness and The Masters. So it’s not so surprising that the network spent a year planning its second-screen offering for the 2013 Super Bowl. At MediaPost’s Mobile Insider Summit, Jason Kint, SVP, general manager of CBS Interactive's sports division, shared insights Friday on how the network built the companion experience and the results delivered. A key part of the planning was gathering feedback from viewers about what they wanted other than a live stream of the game. In addition, CBS also came up with its own special twist for the Super Bowl digital experience: four different camera angle options along with the main video feed. Two of these options were new: a “fan’s choice” camera that crowdsourced input from viewers to decide where the camera should point, and an “all 22” camera angle, which allowed fans to see the entire field of play for the first time. Previously, that footage had only been provided to NFL teams following games. Overall, the game had its largest TV audience ever: 164 million total viewers, with 3 million streaming on online. 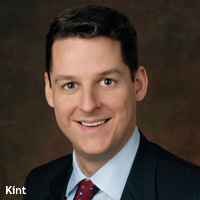 Kint called the 2013 Super Bowl the “largest social event ever,” with more than 50 million tweets about the game throughout Sunday. During the game Beyonce's half-time show and the third-quarter power outage drove the most Twitter activity. Kint said the “all 22” camera angle was "a massive success,” with people tweeting about it every few seconds and sports media covering the game tweeting out screen grabs from that camera angle. On the ad side, commercials shown via second screen generated 4 million tweets. In addition to the streaming ad buy itself, Kint said advertisers benefited from the publicity and buzz surrounding the new digital initiative. CBS promoted its top new show “Elementary” several times during the game, which triggered Twitter spikes shortly after the ads ran. Crucial to drawing audiences to second-screen programming is reducing barriers to entry. In the case of the Super Bowl, that meant removing obstacles like registration and authentication when someone was searching CBS or game-related keywords.